We offer Valet parking. Metered street parking is available as well as managed lots nearby. 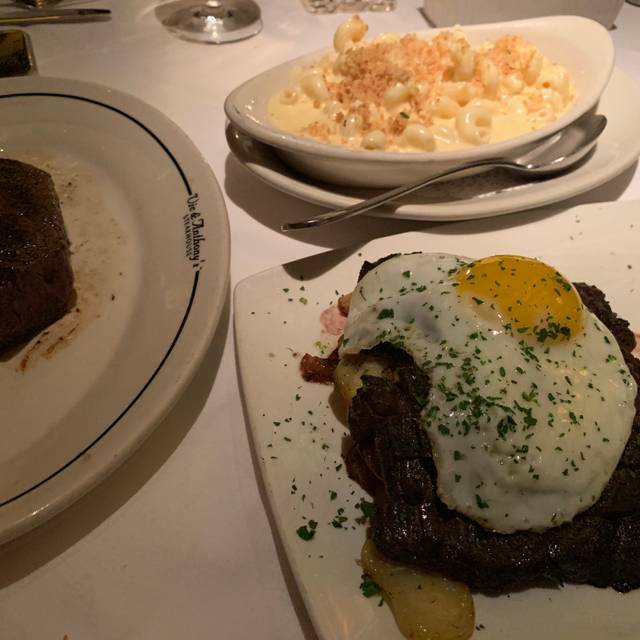 Located in the heart of downtown Houston near Minute Maid Park, Vic & Anthony's Steakhouse features a blend of high-quality food & one-of-a-kind hospitality in an intimate atmosphere of hand-crafted mahogany woodwork, leather furnishings & luxurious amenities. Our highly acclaimed menu features only the finest prime beef, including Ribeye, New York strip, Porterhouse & Filet Mignon. For those with a taste for something other than beef, we also offer Colorado organic lamb chops, veal chop, live Maine lobster, Australian rock lobster tail, Gulf red snapper, tuna & chicken. The Piano Lounge & Bar is for the enjoyment of both dining & non-dining guests. With nightly entertainment, it is the perfect downtown destination for cocktails. Our award-winning wine list offers over 1,000 of the finest wines the world has to offer. 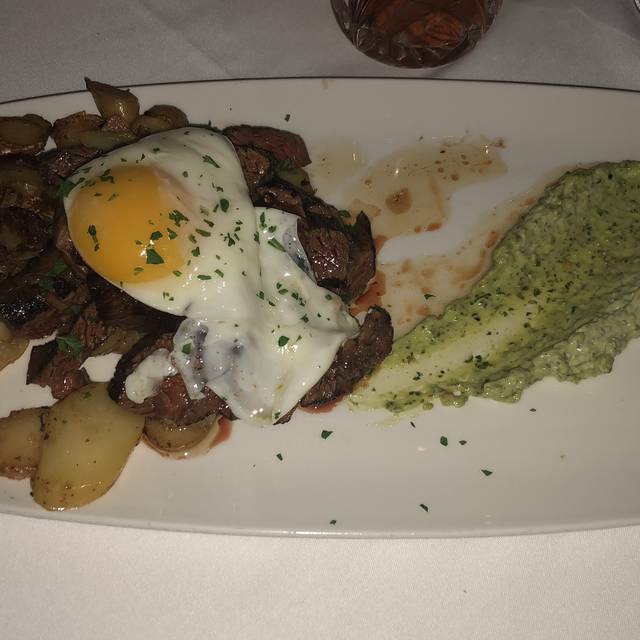 For a memorable meal, a sophisticated atmosphere, impeccable service & cocktails with class, Vic & Anthony's is sure to please. Food is always excellent. We had a table for 6 which was located in the middle of one of their dining rooms. Everyone seem to enjoy their food and the server was very conscientious about our time limitations. One item that can be improved is to be more explicit on the valet process when paying cash. My wife and I came here on her birthday and we enjoyed ourselves a lot. The chicken fried New York strip was soooo good. I love the atmosphere there for an occasional splurge or celebration. It was our first time at Vic and Anthony's. It was the best restaurant experience by far. From the time we valet until the time we left simply wonderful. Service was awesome. Food was delicious. The best cheesecake I have ever tasted. 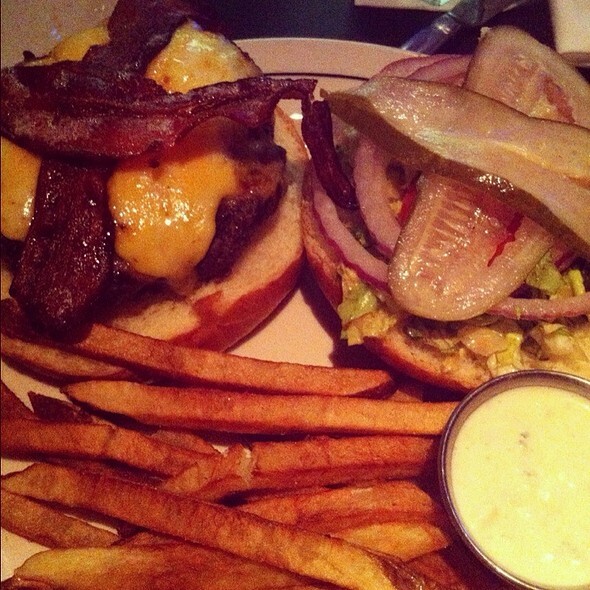 Best of all, we are a Landry's card holder. Keep up the "GREAT" WORK!!!!! Well, the food was very good, particularly their Wedge Salad (for I am obsessed with Roquefort cheese). 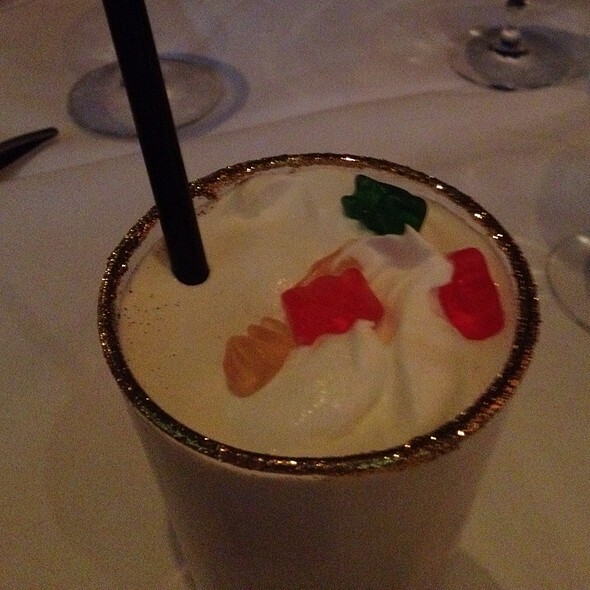 If I had to pick something to criticize, I'd go for the cocktails. I didn't care too much for the 2 of the 3 cocktails we had (my wife's drink was Island drink was forgettable and the old fashion was nothing special at all), with the third, their Diablo tequila cocktail, being the best of the lot. Still, I wouldn't bet on seeing me back there JUST to have a few drinks. Once we were seated, the atmosphere was a tad bit more loud/casual than we would have liked for our anniversary. However, it wasn't bad. The highlight of our night was our server, Valerie. She had great recommendations for us and was very attentive. Typically, servers at high end restaurants seem a little fake/forced to be nice (and I can't blame them, since a lot of the customers can be pompous, arrogant people); Valerie, however, was genuinely amiable and definitely made our experience better. Not only was she a professional, but she read our atmosphere correctly and amused us with some light chatter and laughing at my wife's corny jokes. She was great. If you're reading this and decide for V we want her to still be around when we return in a few months! This was literally the BEST restaurant I've ever eaten at. Birthday celebration... food wAs amazing!! The food was very good with a Texas flare. Personally, I prefer my lobster bisque WITHOUT bite; I enjoy the creamy texture and taste, but it was still very good. The experience was very positive. Our waiter was incredible. We have always enjoyed our meals here but this last time was a bit concerning. It started off well and the staff was top notch as always. The issues started when our steaks arrived; the cut was correct for each of us but they switched out the temperature. So the medium rare came out medium and vise versa. They were able to fix one. I ordered the bone marrow topping and there was very little marrow in the piece I was served compared to the other times. I don't feel I got much value out of it. When it came time to pay we used Landry's gift cards I had gotten as a gift. I handed them over not knowing the price of the meal and when the waiter came back I realized there should be another unused card. When we asked we were told that is what the manager gave him. After some more questions they found the missing gift card. We ordered desserts as well, had a few bites and asked them to box it up. When we got home the next day and looked, they had only boxed up one of the desserts. I understand things happen, but they should not be happening at this frequency at a restaurant like Vic & Anthony's. What should have been a nice and relaxing anniversary dinner and a meal without the 16 month old turned into more of a hassle and disappointment. Great atmosphere and awesome food. Our waiter, Nathan, was excellent! We will definitely be dining here again!! The meal and service were superb! I requested a quiet table for our anniversary and received a very nice table to enjoy our conversation and ambiance of the room at the same time! We’ll definitely return! Service and atmosphere was outstanding. We had a wonderful time. Salad and appetizers were terrific. I just did not think the steak (bone in ribeye) lived up to my expectations of flavor and more importantly, tenderness. I am hoping this was a one off experience. Food and service was fabulous. My friends and I didn’t like the self-service payment. It was not too user-friendly, especially when splitting the check. A restaurant of V&A’s caliber shouldn’t require its patrons to use such a system. Great food and great service! The staff was a pleasure to talk to and they were very friendly! This restaurant was absolutely fabulous!!! Wait staff was awesome and food was delicious. Absolutely the best place for a congratulatory dinner! Everything was wonderful! Out of 6 steaks 3 had to be sent back and the women’s rest was filthy. Awesome as usual. Best place to eat on Astros Opening Day! Fried Lobster Mac & Cheese was excellent! We were in the restaurant on Friday evening between 5 and 6:30. It was extremely warm. I sat there with perspiration running down my face. It was embarassing, to say the least. There was a spider that crawled onto the table in front of me. Other than that scare, the rest was great! The noise level was a bit high. Expensive, good for business, very good food, noisy, but can still carry on a conversation. I had a wonderful experience! Staff and food were excellent!! You’re paying for service and ambiance. The food really is just mediocre. Texas Roadhouse can get you the same steak for less. Sure you won’t get that fancy white table cloth night out, but you also won’t be charged an arm and leg. Vanessa made our special day even more so. The food was perfect and we were able to get our favorite table. The wine was perfection. Thank you for suggesting it, Vanessa! From the service, to the food - this place is outstanding. 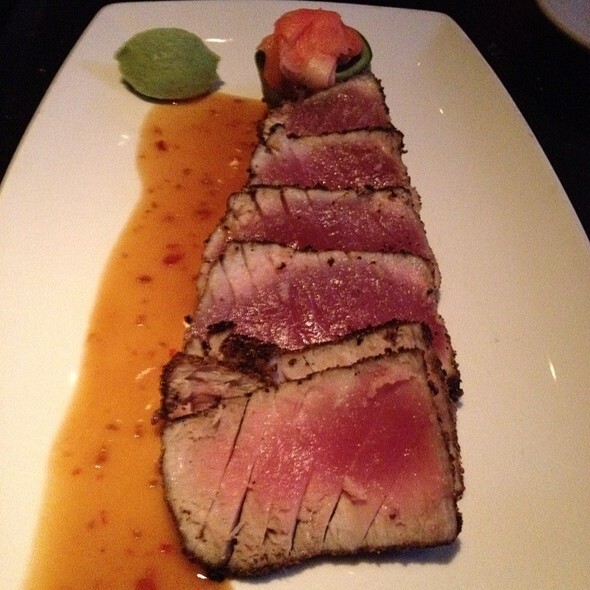 It is everything a high end steakhouse should be. Could not be happier. Excellent service. Never waited on anything. Food was excellent. One of the best steak houses that I have been to. Top notch food with top notch service. Great place for date or to enjoy a good evening in Houston. 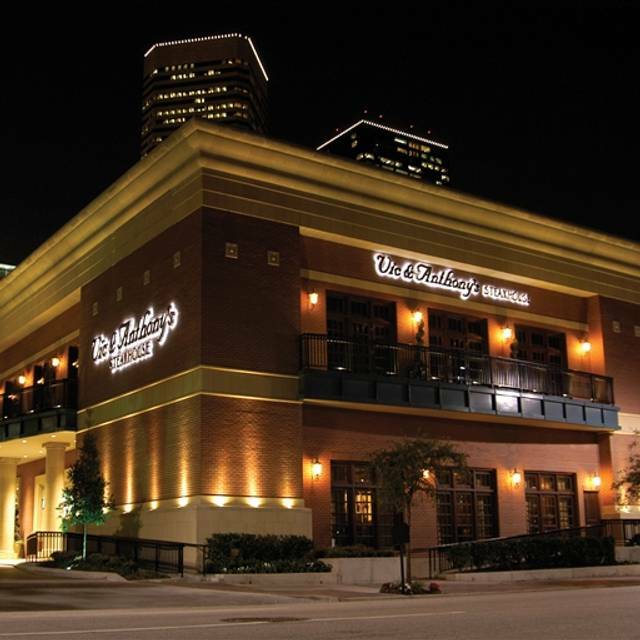 V&A edges out other top steakhouses in Houston. The steak were perfectly cooked. Seasoned with only salt and pepper to compliment the quality of the meat. Sides were on par with the steak. First time I went, it was a great experience. However, this last visit was the complete opposite. I specifically stated no butter. Yet, my steak was delivered in a bed of butter. The manager stated that brought me the wrong plate - gee really! Then, they bring out another steak. Unfortunately, it didn’t taste anything like the steak I had on the last visit. I could have had a better steak at the Outback. I only ate approximately 33%. The manager never came back or said anything. I won’t be back. Excellent service. They are very polite and made sure my experience was the best. I will definitely go back. Never disappoints. Steak was great. Lobster tail was big fluffy and even my children commented that it look amazing. Lobster tasted as good as it looked and was well prepared. I will tell you this. Other places some orders suffer in cooking and temperature at table when all brought out together. Here the kitchen knows how to time it all in perfect balance. We initially had to wait 20 minutes with a reservation! Wait staff was excellent- calamari very good- salads excellent- my crabcake very good, but my husband’s veal chop was just okay. The Veal Chop was full of fat in the middle and the taste was mediocre. The dessert was amazing!!! We have come to this restaurant for years and years and it has never disappointed, but this time it was a little disappointing. Thank you.